A FORTUNE LOST AT SEA! When Cleo and Evan set sail on the Titanic, time is not on their side! The famous ocean liner is destined to hit an iceberg. 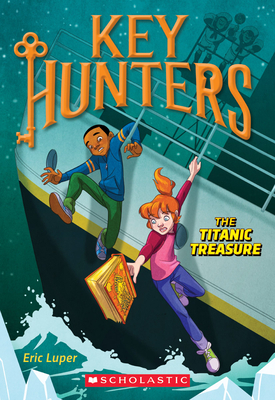 If they can stop a thief from stealing a priceless jeweled book -- and find their next key -- they might avoid sinking with the ship in this historic disaster!